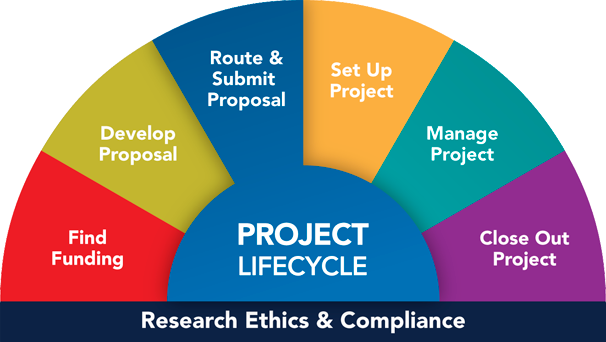 Regardless of who does final submission to sponsor, eResearch Proposal Management (eRPM) is used to create, route, and sign the PAF. Regardless of any later sponsor-allowed deadline time, ORSP closes for business at 5 p.m.
Certain proposals (for DOD, DOE, EPA) require an Environmental Questionnaire to complete the grant application package. This multi-page form can only be completed by UM-OSEH with facts gathered from various stakeholders, including the Academic Unit and the PI named on the proposal. It is the responsibility of the research team to contact OSEH and have the forms completed before the proposal is delivered to ORSP. Completion of this complex questionnaire takes considerable effort in fact-gathering and verification, and thus OSEH requires at least FIVE (5) BUSINESS DAYS before the completed proposal needs to be at ORSP. ORSP's deadline for reviewing the finalized Proposal Approval Form (PAF) and the final proposal is four (4) full business days in advance of the sponsor's deadline date and time. ORSP reviews and submits all proposals seeking external funding. For the most comprehensive review and submission, please provide in complete format to ORSP four business days prior to sponsor deadline. When submitting the system marks certain issues with warnings. Even if the items are not errors, it could prevent the proposal from being validated. With the proper time allowed, it is possible to give you the option and time to review and correct any items that the system marks as warnings. ORSP will then resubmit the proposal. This level of service is only available for proposals that arrive at ORSP with the full, four-day lead time. What if the PI's team is submitting the proposal to the Sponsor? The same deadlines apply regardless of whether ORSP or the PI's team will submit the proposal to the sponsor. What if the sponsor deadline is 5pm but they are on the West coast? ORSP closes at 5 p.m. Therefore proposals must be received by ORSP in time to submit the proposal by 5 p.m. of the due date even when the sponsor deadline is in a different time zone or is later than 5 p.m. Sponsors often consider the local applicant institution time as the deadline, even if they are in a different time zone. If mine is due first but comes in later how will you review? It is critically important that once you submit your proposal to ORSP that you or your staff are readily available to respond to questions and to make any necessary proposal fixes required for ORSP to submit the proposal. In fairness to PIs and project teams who meet the deadline, even when the volume is large, proposals received on time will be fully processed, including necessary resubmissions, before those proposals that arrive at ORSP late. This is in fairness to those investigators who meet the published deadline. ORSP will, of course, do all it can to submit your proposal on time, but we wanted to make you aware of the way that proposals are prioritized and the associated risk of not meeting ORSP's deadlines. ORSP staff will do everything possible to get the proposal to the sponsor on time. However, as the amount of time for processing is reduced, the chance for insurmountable obstacles increases. 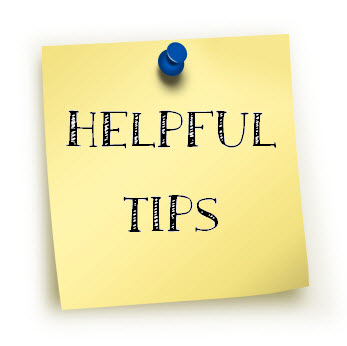 Certain parts of the review process lay outside of ORSP and therefore, are subject to the schedules of other offices. When there is sufficient lead time, ORSP staff can compensate for these problems. Therefore, faculty should make every effort to provide the maximum time possible for ORSP to process and adequately review their proposals. Please remember to accommodate deadlines from your unit and special circumstances, such as the Environmental Questionnaires completed by U-M OSEH, and other such items. Did you find what you were looking for? Please let us know at: orsp-communications@umich.edu.